Certified Consultants earn a higher salary and certification gives you better chances to land your dream job. Get Trained – Get Certified – Get Hired. Learn by doing what you need to know to pass the Citrix CCA, CCP and CCE exams. With 113+ step-by-step training videos you no longer need to work late hours. 100% proven to work scenarios based upon Real World Experience. The audio and video are produced in High Quality MP4 format and available for download. Get trained while commuting. Keep your pulse on innovation. New and exclusive training videos and webinars are added to the members area regularly. My Citrix Video Training Course is revolutionary and like nothing you’ve ever experienced before. Whenever you’re setting up a new Proof of Concept or a new Production Environment based system, I’ll hold your hand and coach you through the setup and configurations step-by-step. Whenever you have problems, I’ll be there to help you. You’ll have personal contact with the instructor. This is Citrix Expert Consulting Services for free! What makes this course ground-breaking is the opportunity to request new training videos. I constantly add new videos every month covering new products and updates from Citrix. The Membership video library grows bigger and bigger every month. “Joining xenapptraining.com has been the best idea and investment I could have had or done. The help and expertise alone from Eric is tremendous specially when you are thrown under a bus to support a system that was left behind by someone else and cutting budgets. The return of investment is very fast. Access the Citrix Video Training Course from any device while commuting or from the comfort of your own sofa. Access the course with the touch of a button. The audio and video are produced in High Quality MP4 format that look great on all devices. You can DOWNLOAD all the videos and webinars for offline access. I’ve more than 18 years’ experience as a Citrix and Microsoft Consultant and I’m certified as both a Citrix Certified Instructor (CCI) & Microsoft Certified Trainer (MCT). I’ve been awarded Citrix Technology Professional (CTP), Microsoft Most Valuable Professional (MVP), Nutanix Technical Champion (NTC), VMware EUC Champion, Atlantis Community Expert (ACE) and Very Important Parallels Professional (VIPP). You can get access to this video course that was originally created to train our professional consultants on Citrix and prepare them for the CCA, CCP and CCE exams. Inside the Members Area you will learn everything you need to get your system up and running very quickly with access from anywhere in the world. All the videos provide you with step by step configuration, resources and Best Practices Group Policy & Citrix Policy templates. I keep evolving the course over time based on your feedback and questions, which I believe makes xenapptraining.com very valuable. This course is unique and is like nothing you’ve seen before because it’s based upon field experience and customer feedback. To get the full potential and hands-on experience it’s highly recommend to setup a lab. You can run any type of Hypervisor (Hyper-V, XenServer, Nutanix or ESXi) on dedicated hardware or run it on top of Hyper-V, VMware Workstation, Fusion, Parallels etc. The Automation Framework will make this feel like a walk in the park. Let’s say you want a full Citrix XenDesktop 7.17 environment with Microsoft App-V 5.1 controlled by FSLogix and App-V Scheduler. You also want 3rd party monitoring tools like ControlUp and uberAgent. And finally a couple of Windows 10 v1709 test machines with Citrix Single Sign On and Start menu integration predefined. The Automation Framework will deployed and configured, almost automatically in a couple of hours instead of days. Not just the Citrix part, but all required integrations with 3rd party software. 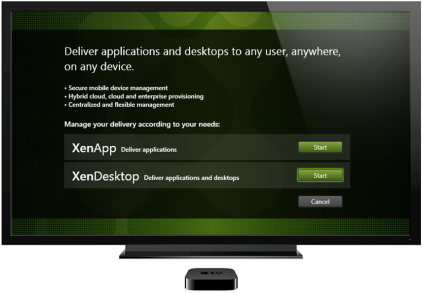 NEW: Now supports VMware Horizon and Parallels Remote Application Server. Setting up a Citrix environment is complex and not easily learned in a traditional course. Based upon more than 18 years of experience you’ll literally be able to watch over my shoulders while I build a completely new Citrix environment from scratch. This course include products from Citrix, Microsoft and 3rd party vendors. I’ve put all the pieces together and will teach you the workarounds for well-know bugs that are hard to find and not well documented. This will save you tons of time, money, frustration and reduce the need for external consultants. With thousands of tickets closed in an average of 12 hours you know I’m here to help you out anytime, from any device. Stop scratching your head when stuck, rely on my 16 years of experience to get you off the hook. I’m using the best Help Desk Support Software available to make sure you get the follow up that you deserve. Every month I host webinars over at xenappblog.com interviewing Industry Experts on various hot topics and products. As a member you get an exclusive access to the whole webinar library available for instant streaming and download. “xenapptraining.com is definitely worth the subscription. The content on the site is excellent, really in-depth and easy to follow. The video teaching is excellent. And this content is constantly being up dated too. Eric is very knowledgeable and is also very happy to not only help with problems but also likes to help with design ideas and just general discussions. “Wanna become an expert in Citrix Technologies? One address xenapptraining.com. Your teacher Eric explains things by means of well-made videos and gives awesome comments. The latest stuff like the Citrix Universal Print Server, but also hard stuff like the Citrix Access Gateway get attention. 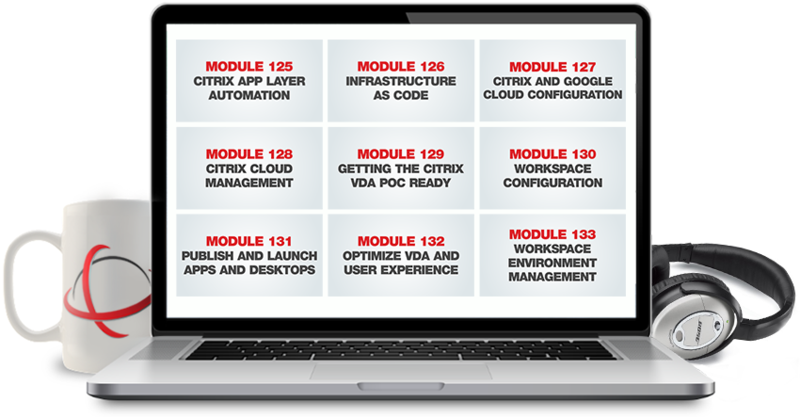 The course is good for newbies, but also for admins with some Citrix experience. “I have to say that I am very much impressed with the training material found on xenapptraining.com. 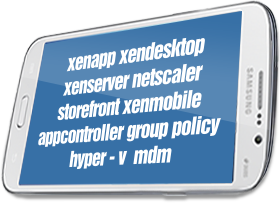 It’s like a one-stop-shop for all your XenApp / XenDesktop installation / configuration / management needs. Eric does an excellent job of first researching a topic and then presenting it in an easy-to-follow step-by-step video. For anyone that is a beginner or even advanced in Citrix XenApp / XenDesktop knowledge, there is something for you here. I think it most benefits those who are beginners or intermediate admins. As long as you first understand the technology and what it can bring you, maybe all you need are some instructions on how to do it… well, this is what this site does for you. It provides you with all the required instructions on how to implement it. What I really like is the ongoing new material. I can honestly say that Eric provides great value for what you paid. Most IT training material is fixed in regards to time. You get what you paid for and nothing more. With xenapptraining.com, you continue to get more and more material added. “I’ve purchased Eric’s video to say the least they are exceptional. I’ve learned a great deal with details, which you will not find anywhere else. He puts CBT Nuggets to shame and any other vendor with training material. With the purchase you get a Citrix guru at your fingertip to answer any questions you may have. You simply can’t find that anywhere.